We are Supplier & Exporter of Monel Alloy K500 Pipe Flanges, Monel K500 Slip on Flanges, Monel K500 DIN Blind Flanges, Monel Alloy UNS N05500 Plates Flanges Manufacturer in India. We, Neon Alloys are one of the efficient organizations in manufacturing & exporting of Monel K500 Flanges at a wide range. We manufacture these Flawless Monel Alloy k500 Flanges Using Stainless Steel Metal Alloys. 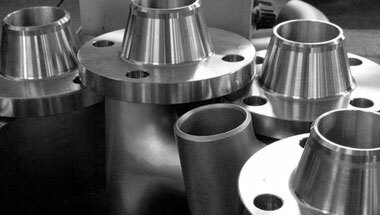 The types of flanges that we afford from our product are Slip On, Blind, Weld neck, Socket weld, Threaded, Lap Joint, Orifice and Spectacle Blinds, Tongue & Groove & Ring Joint Types, Vacuum Flanges, Exhaust Flanges, Profile Flanges etc. Monel k-500® is a nickel-copper alloy with the same corrosion resistance and characteristics as the monel 400®. The monel k-500® has a greater strength and hardness then the 400, as a result of added aluminum and titanium. These flanges are widely used in various application industries like Chemicals, Fats, & Fertilizers, Sugar Mills & Distilleries, Cement Industries, Ship Builders, Paper Industries etc. ASTM A564 Monel K500 Flanges, Alloy K500 Orifice Flanges, Monel WNR 2.4375 Forged Flanges, Alloy K500 Socket weld Flanges, Monel K500 ANSI/ASME B16.5 Reducing Flanges Supplier in India. Saudi Arabia, Germany, Ghana, Kuwait, Mozambique, Argentina, Canada, Thailand (Bangkok), Ethiopa, UK, United States, Cameroon, Venezuela, Kazakhstan, Australia, Mexico, South Africa, Morocco, Iraq, Tunisia, Trinidad and Tobago, Vietnam, Peru, Russia, Malaysia, Jordan, Azerbaijan, Africa, Colombia, Nigeria, Chine, Angola, Uganda, Algeria, Italy, London, Iran, Turkey, Houston, Israel, Democratic Republic of the Congo, Sri Lanka, Brazil, Bahrain, Indonesia, New Zealand, Dubai, UAE, Egypt, Sudan. Lagos, Giza, Dar es Salaam, Brazzaville, Casablanca, Amman, Muscat, Maputo, Beirut, Pretoria, Singapore, Rabat, Harare, Kano, Cairo, Abidjan, Lubumbashi, Tripoli, Port Elizabeth, Doha, Kolwezi, Luanda, Nairobi, Tel Aviv, Port Harcourt, Hong Kong, Colombo, Kaduna, Riyadh, Johannesburg, Byblos, Durban, Douala, Dammam, Bamako, Yaoundé, Soweto, Jerusalem, Accra, Dubai, Alexandria, Cairo, Freetown, Algiers, Antananarivo, Ibadan, Kampala, Fez, Addis Ababa, Bethlehem, Cape Town, Mbuji-Mayi, Omdurman, Maiduguri, Lusaka, Istanbul, Sharm el-Sheikh, Benin, Khartoum, Data from the UN, New York, Dakar, Mecca, Manama, Mogadishu, Subra al-Haymah, Conakry, Kinshasa, Jeddah, Zaria, Tehran, Ouagadougou, Aqaba, Abu Dhabi, Bulawayo.